Some things and places are not meant to stay. In Manila, for instance, there were beautiful landmarks that simply vanished as time went by–some disappeared in the name of development, while others were ravaged by war or human neglect. Let’s pay tribute to the things that are now just part of Manila’s colorful history. 23. Clarke’s Soda Fountain and Ice Cream Parlor. 29. The 1979 M.A.N. Superbus. As the name suggests, Magellan’s Monument (also known as Monumento de Magallanes or Magallanes Monument) was named after the prominent Portuguese explorer, Ferdinand Magellan. It was inaugurated in 1848 during the term of Governor-General Narciso Claveria. It stood in what was known as Paseo de Magallanes, a park located just outside the northern walls of Intramuros. Magellan’s Monument was comparable to New York City’s Statue of Liberty as it welcomed passengers upon docking in Paseo de Magallanes. The prewar structure consisted of a stone column with a marble pedestal. The column was decorated by dolphins, merlions, laurel leaves, and anchors. On top of the monument was a spherical globe inscribed with Magellan’s name. 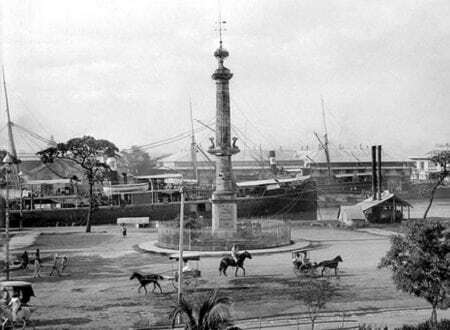 In 1904, the monument was moved near the Aduana Building when the Americans expanded the wharves of the Pasig River. Unfortunately, at the height of WWII, the monument was directly hit by artillery fire. The whereabouts of its remains is still a mystery, with some claiming that it was pushed down the Pasig River during the clean-up operations. Sta. Mesa Market. 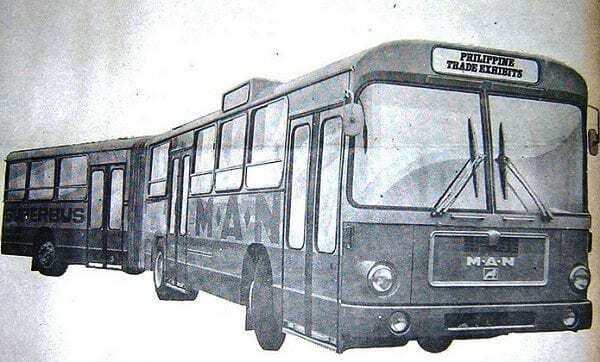 Photo from Meralco Magazine – 1st Quarter 1965. Courtesy of gorio72 via Flickr. Before it was replaced by SM City Sta. Mesa (formerly known as SM Centerpoint), the Sta. 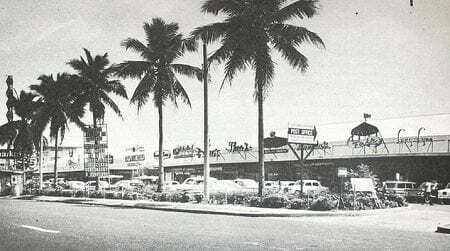 Mesa market on R. Magsaysay Boulevard was considered as one of the most modern markets in the country. In fact, it was the shopping place of choice in the ’60s, especially for those who wanted to buy PX goods or products imported from the US. Built in the 1950s, the Sta. Mesa market was a shopping complex where stores lined up in straight rows. Originally, a tall office building was planned to be constructed at the rear of the market, but this never pushed through. The market also offered various attractions which include an indoor skating rink. Known as the first ice cream store in the country, Clarke’s also served as a restaurant where affluent people from the business community would gather. And thanks to its signature pink ice cream, the place helped American officials cope with the tropical heat. The establishment was named after M.A. 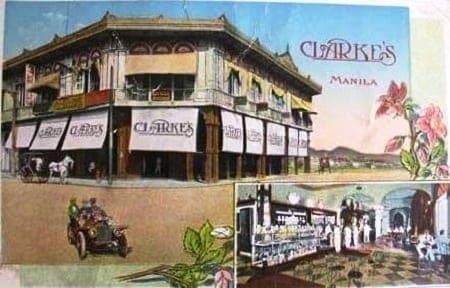 Clarke, an American entrepreneur who built it at the corner of Plaza Moraga and Rosario St. in Escolta. He also invested in Benguet mines and purchased an expensive 60-ton mill which, unfortunately, was destroyed by a heavy flood. Clarke never got the chance to recover from his loss when a strong typhoon hit Baguio a year later, wiping out all his properties. The restaurant was eventually sold in auction. Clarke, on the other hand, returned to California where he died soon thereafter. 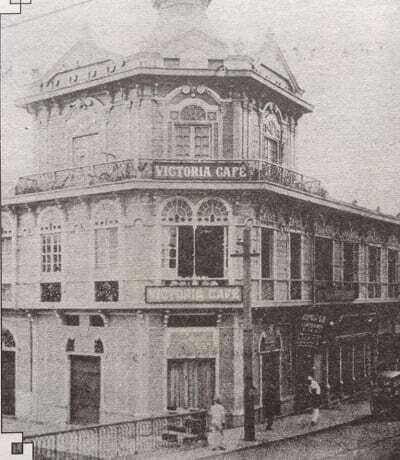 Reminiscent of the Victorian architecture, this coffee shop–which also served as a hotel–was only one of the beautiful buildings that once stood in Escolta. It occupied what was known as the Roxas Building (now Regina Building). Owned by Doña Carmen Ayala de Roxas, the old Roxas Building had two wings: the one facing Calle David (now Burke St.) served as offices of Roxas y Cía, while the other wing facing the Estero de la Reina and Plaza Sta. Cruz was occupied by Victoria Café. Manila Philippines, May 1948. Photographer: Jack Birns. Source: John Tewell via Flickr. Yes, there was Alemar’s even before the National Bookstore dominated the market. Established by Dr. Ernesto Y. Sibal as Centralbooks in 1945, the bookstore was the place to go when shopping for textbooks as well as office and school supplies. It had its brances in Avenida, Cubao, and along Ayala Avenue. The founder, Dr. Sibal, was a member of the board of regents of UP College of Law for a long time. He earned his doctorate in law from Yale University after the war, taught Law at UP, and ran the bookstore as law book publisher and seller. 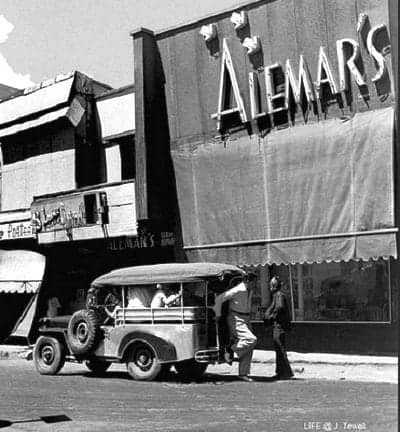 His son, Jose A. Sibal, inherited the business and renamed the store to Alemar’s. Sadly, after decades of existence, the business closed shop in the mid- or late-1980’s. 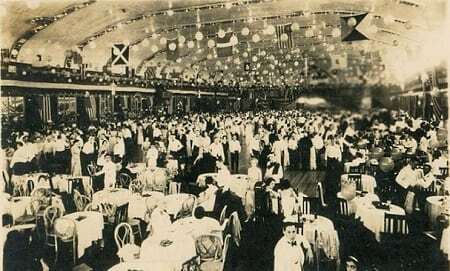 The cabaret, an idea brought to Manila during World War I by a German proprietor married to an Englishwoman, originally referred to a venue where Americans would usually drink, eat after-cinema dinners, and dance while waiting for the main course. By the late 1920s and 1930s, however, cabarets in Manila became known as “dancing pavilions,”–a far cry from the original version which catered to Manila’s elites. 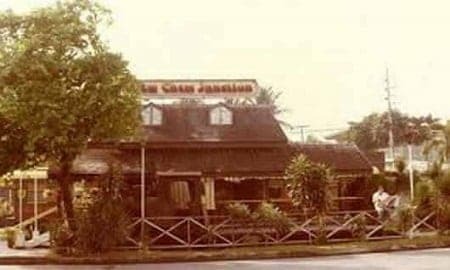 Popular cabarets during this era include Lerma Park Cabaret in Maypajo, Caloocan; La Loma Cabaret in La Loma, Rizal; and the Santa Ana Cabaret in H. Santos St., Barangay Tejeron, Makati City. Considered as the world’s largest cabaret in the 1920s, the Santa Ana Cabaret was owned by an American named John Canson, a Spanish-American War veteran. Not surprisingly, the cabaret favored the Americans, with the management going as far as keeping the Filipinos only in the taxi-girl area and out of the dinner-dance section. This social division was apparently shattered when Governor-General Francis Burton Harrison invited (to the surprise of Santa Ana’s manager) then President Manuel L. Quezon and a group of other Filipinos including Buenaventura Barona, Victor Buencamino, and their ladies. Unfortunately, the Santa Ana Cabaret, which was made primarily of wood, was destroyed when Typhoon Yoling hit in November 1970. A racing track was subsequently built in the area which continued to operate until it was closed in 2008. As of this writing, a 20-billion program that will transform Sta. Ana into a 21-hectare modern urban entertainment district called Circuit is being undertaken by Ayala Land, Inc. in collaboration with the Makati local government. The Santa Cruz Bridge was a steel truss bridge that once spanned the Pasig River and connected Plaza Goiti (now Plaza Lacson) in Santa Cruz with Arroceros Street (now P. Burgos Street). 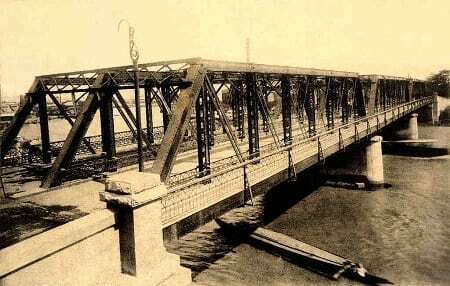 Construction of the bridge was initiated by the Spanish colonial government but was interrupted by the outbreak of the Philippine Revolution and the succeeding Spanish-American War of 1898. When the Americans took over, the building of the bridge resumed and was finally completed in 1902. Like other unfortunate Manila landmarks, the Santa Cruz Bridge was also destroyed by the Imperial Japanese Army during WWII. Tram services were halted and a Bailey Truss bridge was temporarily built. The structure was then replaced by a reinforced concrete beam bridge and renamed MacArthur Bridge, after the famed American general Douglas MacArthur. Choo Choo Junction was the ultimate heaven for kids who grew up in the 80’s and particularly love spaghetti. The train-themed restaurant had branches in Cubao and Greenhills. They served delicious milkshakes and spaghetti complete with white sauce, meat sauce, and meatballs. Aside from the mouth-watering spaghetti they served, kids who frequented the place won’t ever forget the restaurant’s unique theme: it has its own hydraulic system that could make the place rock back and forth as well as whistle sounds that gave guests an authentic “train” experience. The Cubao branch is now a parking lot while the one in Greenhills was turned into a parking building. Photo Credit: gorio72 via Flickr. The M.A.N. 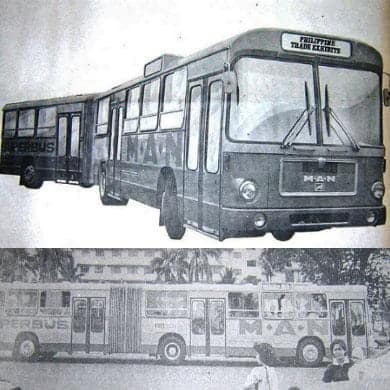 Superbus was a 1979 articulated or bendy bus that provided free shuttle service (to and from Luneta or Baclaran) to people who visited the Philippine Trade Exhibit. A bendy bus is a public transportation vehicle comprised of two sections linked by a pivoting joint. The 180-seater bus was deployed during the exhibit by the Silcor Management Corp. in collaboration with the Metro Manila Commission. Prudente Sta. Maria, F. (2006). The Governor General’s Kitchen: Philippine Culinary Vignettes and Period Recipes 1521-1935. 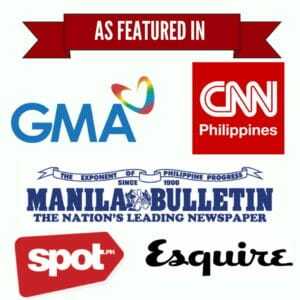 Mandaluyong City: Anvil Publishing, Inc.